Happy Hour is On for IndieGala, Get Your Free Gifts Now! 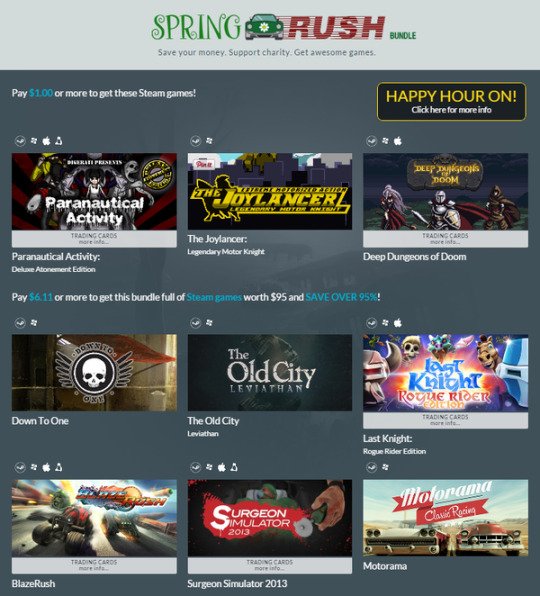 Happy Hour is on for IndieGala Spring Rush, get your Free Gifts now! All purchases come with extra gifts too! All the Indiegala deals! Gothic 3: Forsaken Gods Enhanced Edition $2.49/€2.49 -75% and much more!